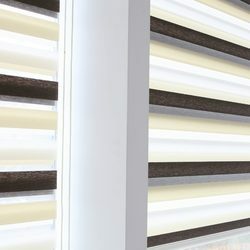 Manufacturer of a wide range of products which include wave look zebra blind, folded deluxe zebra blind (blackout), classic zebra blind, blackout zebra blind, check look zebra blind and glittering zebra blind. Wave Look Zebra Blind from Image Decor presents a very designer wavey pattern with similar color mesh weaved one after another. The textured effect and feel of the engraved fabric is unmatchable. 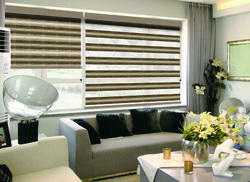 These blinds give a very soothing and classy effect to the room. 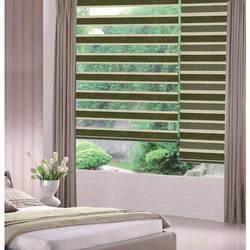 Folded Zebra Blind from Image Decor presents a very simple yet attractivepattern that brings out the perfect feel for your home decor. 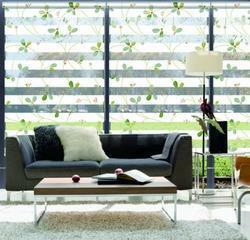 These blinds blocks the sunlight completely and pleat on the fabric adds to its class. 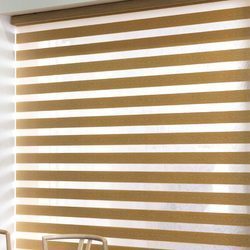 Classic Zebra Blind from Image Decor presents a dual color strap with tempting shades like golden and brown which forms a perfect light and dark effect. 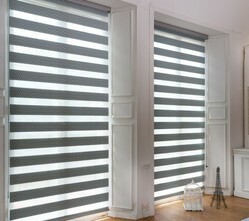 Blackout Zebra Blind from Image Decor presents a very simple effect that blocks out the sun light completely. Check Look Zebra Blind from Image Decor presents a very designer inseem pattern with similar color mesh weaved one after another. The textured effect and feel of the engraved fabric is unmatchable. 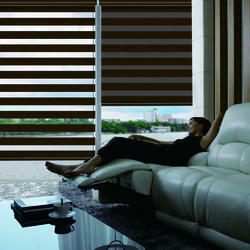 These blinds give a very soothing and classy effect to the room. 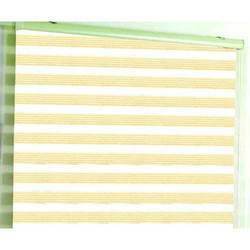 Glittering Zebra Blind from Image Decor presents aunique glittering stripe pattern making it suitable for homes. Regular Zebra Blinds from Image Decor presents a very simple pattern that brings out textured effect and feel of the engraved fabric. 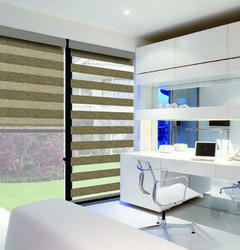 Lines Zebra Blind from Image Decor presents a very simple bordered effect on both top and bottom of the fabric strap. Perfect for homes as well as big corporate buildings. 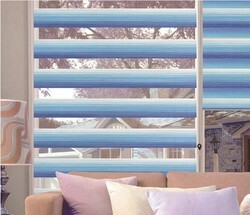 Rainbow Zebra Blind from Image Decor presents asimple yet attractivepattern of colorful fabric. 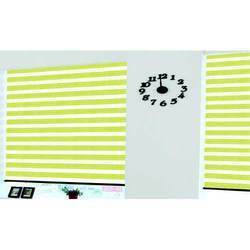 These brodly colorful striped blinds matchs well with both home and office decor. 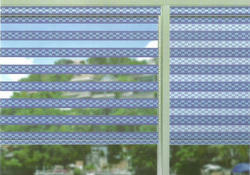 Stripe Zebra Blind from Image Decor presents a colorful pattern with threaded design throughout the fabric. Printed Zebra Blinds from Image Decor presents designer zebra blinds with 8 different floral, cars, cartoons and geometrical designs. 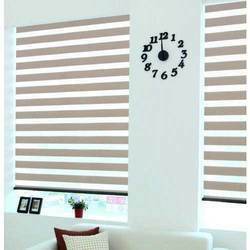 These blinds are a perfect fit for children bedroom, kitchen windows and living room as well. Box Zebra Blind from Image Decor presents a unique checkbox design in such beautiful shades that it will surely win your heart. Coming with the finest mesh this fabric goes with any decor. Designer Folded Zebra Blind from Image Decor forms a very alluring floral pattern on folded (pleated) zebra fabric. A perfect combination of mesh and designer fabric goes well any any decore. Designer Jacquard Zebra Blind from Image Decor presents a beautiful flora deisgn on Jacquard Fabric making it perfect for home decor. 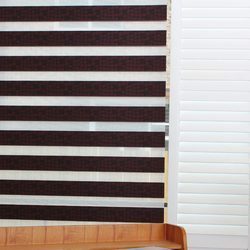 Diorama Zebra Blind from Image Decor is a premium tri-coloured high quality fabric blind with a very soft and fine mesh layered along with the stripe. Crags Zebra Blind from Image Decor presents a very stylish textured pebble design that gives a very aesthetic look to your home. These designer shades are very popular in homes and residential complexes. Crystal Zebra Blind from Image Decor presents a diamond like geometrical pattern that looks very pleasing specially in large halls and big windows. 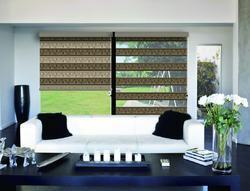 Bosky Zebra Blind from Image Decor is the finest fabric with wooden textured design and smoothest mesh with the same pattern. 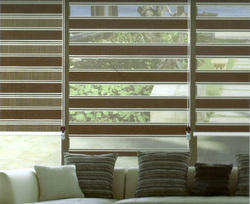 These blinds are very alluring and are class apart from other similar type of blinds.